We serve “Extra Large AA” certified eggs, cracked fresh. Pan-fried in pure butter with the best quality meats. Served with house-made golden hashed browns and hot buttered toast or a Du-par’s bakery muffin. 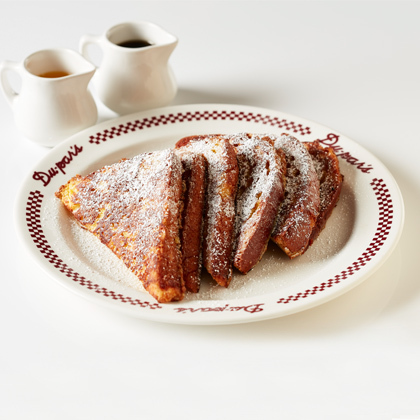 Our golden brown french toast is prepared with Du-par’s house-made brioche bread. Served with grade AA melted butter and boysenberry or maple hot cake syrup. Sprinkled with powdered sugar, served with grade AA melted butter and maple syrup. 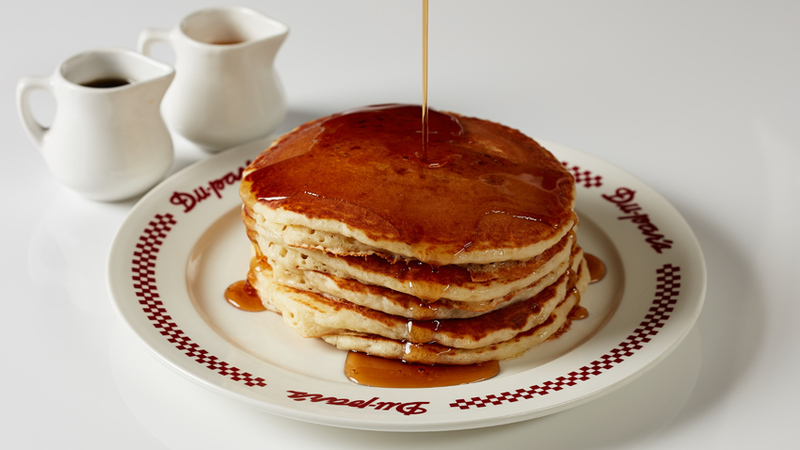 Full or Short Order, Served with grade AA melted butter boysenberry or maple hot cake syrup. Full or Short Order. Prepared with Du-par’s house-made brioche bread. Sprinkled with powdered sugar, served with grade AA melted butter and maple syrup. Served with house-made golden hashed browns and hot buttered toast or a Du-par’s bakery muffin. Served with two Extra Large AA eggs, house-made golden hashed browns and, hot buttered toast or a Du-par’s bakery muffin. Fresh ground chuck served with two Extra Large AA eggs, house-made golden hashed browns and, hot buttered toast or a Du-par’s bakery muffin. hot buttered toast or a Du-par’s bakery muffin. Served breaded with country gravy made from scratch, two Extra Large AA eggs, house-made golden hashed browns and, hot buttered toast or a Du-par’s bakery muffin. Stuffed with sautéed button mushrooms. Served with house-made golden hashed browns. Loaded with melted 3 cheeses of your choosing. Served with house-made golden hashed browns. Filled with zucchini, onions, tomatoes and mushrooms. Served with house-made golden hashed browns. 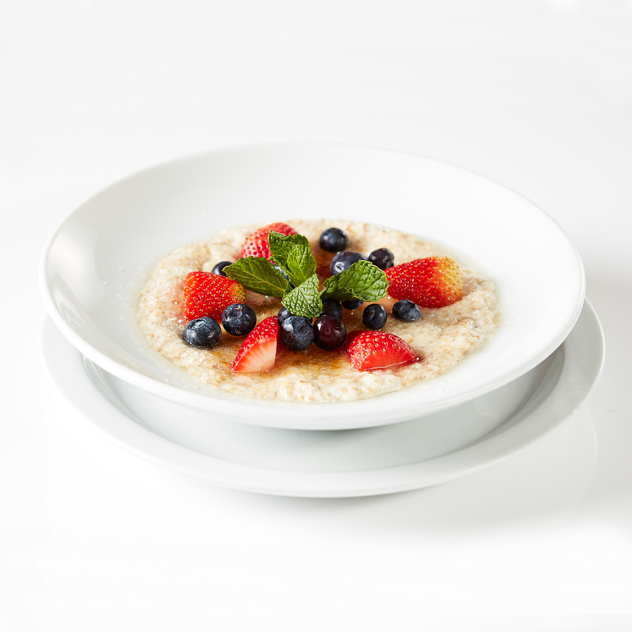 Slow Cooked and Topped with Fresh Berries. Served with house-made golden hashed browns. Filled with Sugar-cured ham, diced red and green Peppers, onions, and jack cheese. Served with house-made golden hashed browns. Fresh Squeezed Orange Juice, Grapefruit Juice, & Lemonade. Served With Canadian Bacon Two eggs topped with hollandaise sauce placed on an English muffin served with fresh golden hashed browns. Served With Fresh Spinach Two eggs topped with hollandaise sauce placed on an English muffin served with fresh golden hashed browns. (excluding holidays & Take-out) No substitutions. 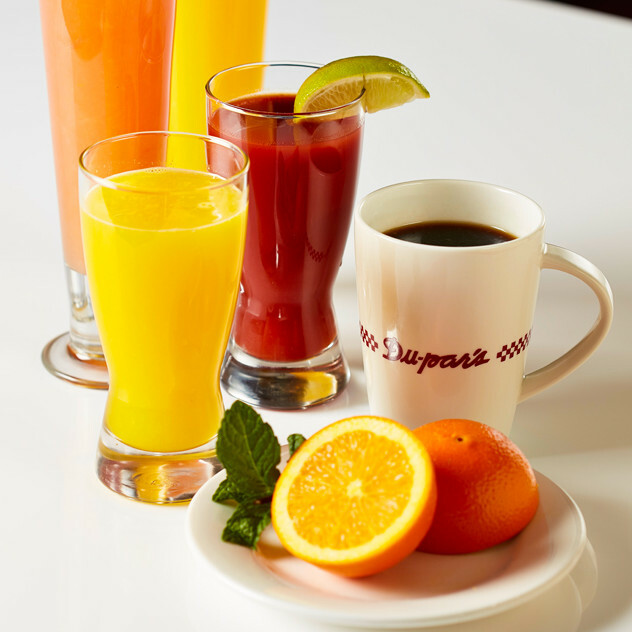 Served with Bacon or Turkey Links, One Egg, Hashed Browns and Toast Includes Orange Juice. daily so sometimes we may sell out! 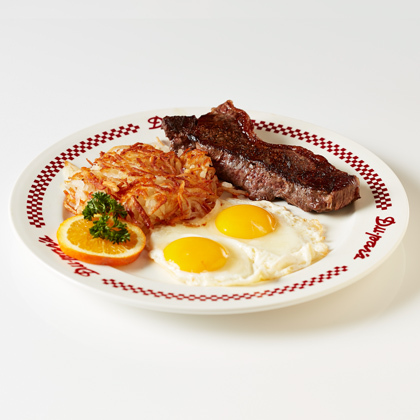 Perfect for breakfast meetings and available for Take-out.